The McIntyre Exam Centre is designed to provide services to both students and instructors at Carleton in order to meet a variety of accommodation needs during scheduled tests and exams. Scheduling and Examination Services (SES) is responsible for the operation of MEC. In order to achieve our mandate, MEC works closely with the Paul Menton Centre (PMC), who is responsible for documenting?student accommodation needs, the details of which are shared with MEC?staff, who are then responsible for ensuring to provide the number of seats required for each course and the appropriate accommodation arrangements for each student scheduled to write at the Centre. 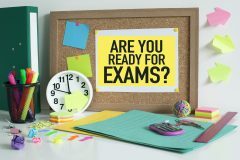 MEC also works closely with Equity Services, who coordinates appropriate accommodations based on religious observance or pregnancy, to be implemented by MEC during exams. MEC’s main office is open Monday through Friday from 8:30am to 12:00pm and 1:00pm to 4:30pm. Please note the office is closed from 12:00pm-1:00pm daily.